I did not get sent this product, I went out to go buy it. 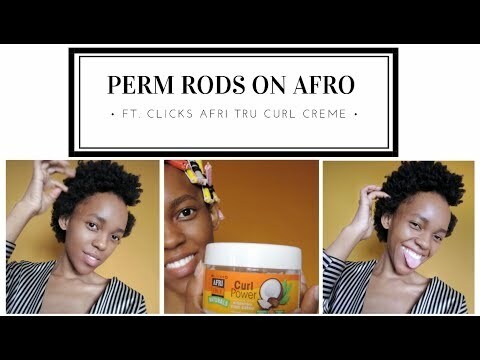 I had been searching for a curling creme for my natural hair that was actually affordable but also effective. With this creme I can truly say that it both. It definitely left my hair shiny after I had done my perm rod set, so I didn't need to spray my hair to get shine. Since I was doing a perm rod set I would recommend you blow out your hair to get the best results. The creme itself is thick but soft so it dissolve in the hair, a little goes a long way and it smells lovely.